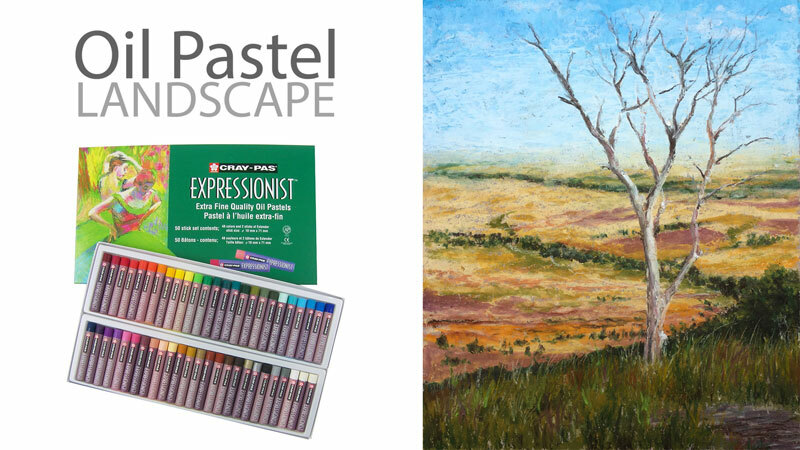 Learn how to paint/draw an oil pastel landscape in this three-part lesson series. Compositional strategies are explored as well as exploiting a color scheme of a triad of secondary colors. Follow along with every stroke and create a looser, Impressionistic landscape of your own. Thank you! I enjoyed exploring a new medium; I quite like oil pastels! Wish I could participate “live” but you are so personable, it is nearly as good recorded. You can usually find it at your local art store, but if not, you can always pick it up at Amazon.com. Look for Canson Mi-Teintes paper. I would like to see a bare tree in oil painting lesson.